This freebie is a synch! 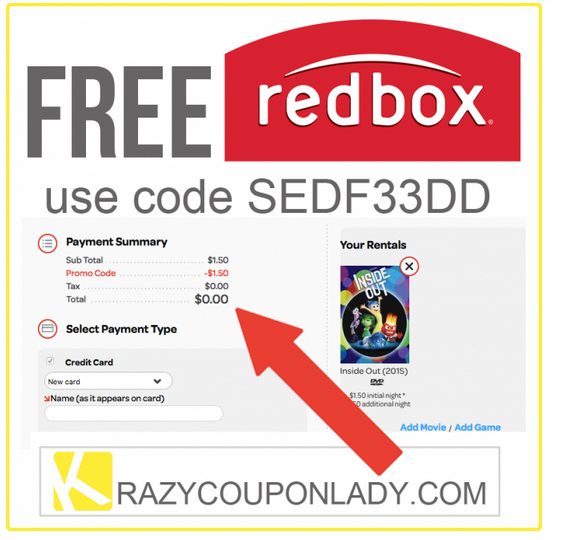 Visit Redbox.com and reserve your DVD for pickup. At checkout, enter promo code SEDF33DD and your total will be $0.00 for any DVD! Blu-Ray rentals are regularly $2.00. The promo code discounts purchase price by $1.50. Promo code expires 12/13. Enjoy the free movie night!